1 Night B&B with Complimentary Afternoon Tea or Gentleman’s Tea valid for Saturday night stays in January, February and March 2018 subject to availability. 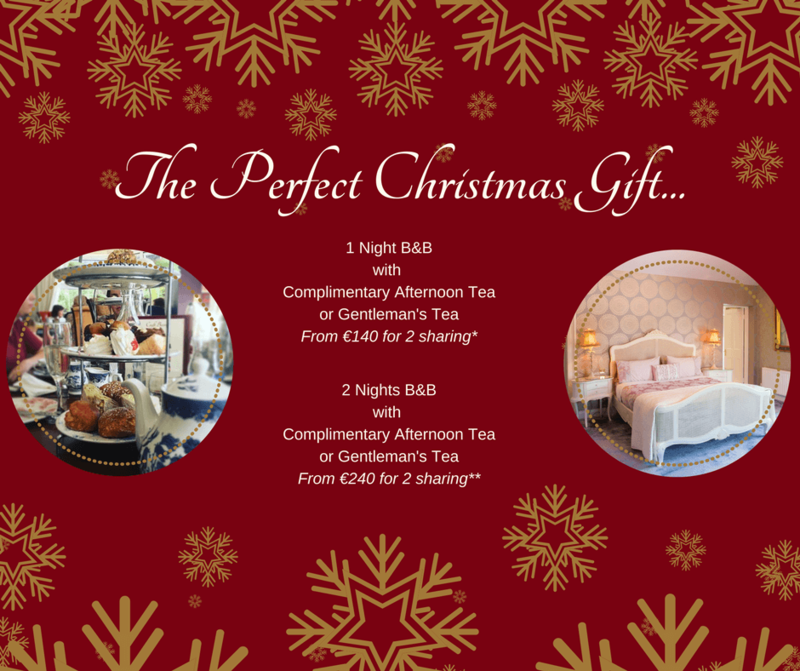 2 Nights B&B with Complimentary Afternoon Tea or Gentleman’s Tea valid for Friday & Saturday night stays in January, February and March 2018 subject to availability. Bookings may be transferred to another date within 6 months of original booking date, subject to availability. Offer applies to bookings made between 20th November 2017 and 28th February 2018 only.